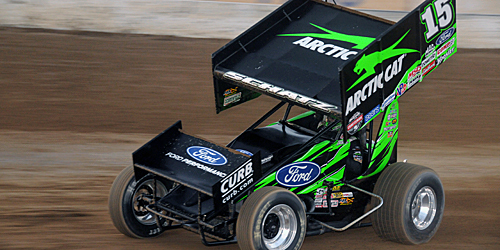 Lonnie Wheatley, TULSA, Okla. (May 25, 2017) – A pair of cars numbered 15 lead the way in the latest winged portion of the Open Wheel Power Rankings with Donny Schatz and Sam Hafertepe, Jr., atop the charts. While David Gravel has enjoyed a hot hand as of late, it’s still Schatz atop the STIDA Winged 410 Power Rankings while Hafertepe, Jr., has reclaimed the top spot in the Rod End Supply Winged 360 Power Rankings from previous leader Thomas Kennedy. The STIDA Winged 410 Power Rankings has a familiar face atop the charts with Donny Schatz continuing to hold down the top position with a dozen overall wins thus far in 2017. But, David Gravel is trying to keep the race for the number one ranking interesting by picking off three of the last four World of Outlaws wins to run his overall season total to nine triumphs and stay within 100 points of Schatz. Schatz has finished atop the STIDA Winged 410 Power Rankings over each of the last four years with his smallest final advantage at 164 points over Daryn Pittman in 2013. 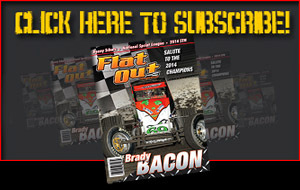 Currently, Gravel is just 98 points off Schatz’ pace with Brad Sweet another 76 points back in third. The lead trio has separated from the pack that is tightly bunched in the distance behind them, as fourth-ranked Jason Johnson is 131 points behind Sweet and just two points ahead of fifth-ranked Pittman. While Johnson (from seventh) and Pittman (from tenth) have cracked the top five, the balance of the current top ten includes Tim Shaffer, Shane Stewart (from 14th), Brian Brown, Danny Dietrich and Chad Kemenah. 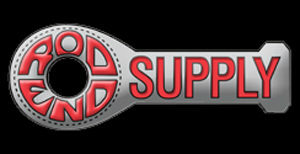 After surrendering the point to Thomas Kennedy at the outset of May, Sam Hafertepe, Jr. has recaptured the top spot in the latest Rod End Supply Winged 360 Power Rankings. Adding his sixth win of the season in ASCS Regional action at Oklahoma’s Lawton Speedway last weekend, Hafertepe, Jr., holds a 24-point advantage over Kennedy with Johnny Herrera maintaining the third position. Morgan Turpen has cracked the top five in Rod End Supply Winged 360 Power Rankings for the first time in her career after running her USCS win total to six last Friday night at Needmore Speedway while “King of 360’s” Mark Smith is back in the top five after URC (Bedford) and ESS (Selinsgove) wins this past weekend. The balance of the current top ten includes Shane Golobic, Sean Becker, Matt Covington, Jordon Mallett and Robbie Stillwaggon. 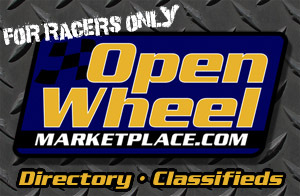 The Open Wheel Power Rankings also include STIDA Winged 410 Power Rankings, Non-Wing 410 Power Rankings, the Beaver Stripes Non-Wing 360 Power Rankings, the www.midgetmadness.com Midget Power Rankings and 305 Power Rankings presented by Dodge City Raceway Park. 2016 – 1. Sam Hafertepe, Jr. (10) 716, 2. Aaron Reutzel (8) 713, 3. Johnny Herrera (7) 623, 4. Derek Hagar (15) 607, 5. Mark Smith (11) 604, 6. Seth Bergman (7) 587, 7. Wayne Johnson (4) 525, 8. Blake Hahn (4) 521, 9. Jason Barney (5) 487, 10. Andy Forsberg (12) 482. 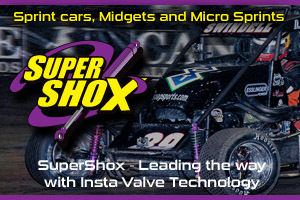 The Open Wheel Power Rankings also include the Momentum Racing Suspensions Non-Wing 410 Power Rankings, the Beaver Stripes Non-Wing 360 Power Rankings, the www.midgetmadness.com Midget Power Rankings and 305 Power Rankings presented by Dodge City Raceway Park.